Swanbourne Gardens is the only centre of its kind in the North West providing short breaks for children with learning disabilities and complex health needs. About Swanbourne Gardens: Run by Stockport NHS Foundation Trust, Swanbourne Gardens can accommodate children for overnight stays as well as offering respite and day care. We are a small, self contained unit supporting children with complex heath needs, or young people with a learning disability age 0 to 19. 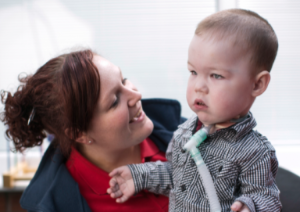 We also provide day care for children aged 0-5 years with complex health needs or a learning disability. How can your child access this service? To use our service, your child must have already been assessed by a social worker on the children’s continuing care panel to ensure that Swanbourne Gardens meets your child’s needs. The children’s continuing care panel will then contact you to advise the level of support required for your child. 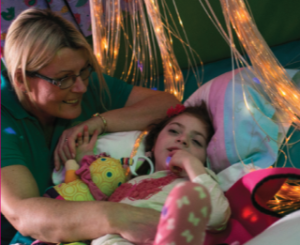 If your child has been assessed by the children’s continuing care panel and meets the criteria for respite nights, please contact us to discuss how we can help you. Our Support: All short stays at Swanbourne Gardens are pre-planned. Overnight stays are the primary focus of the service, with day visits provided as a gradual introduction before overnight stays begin. All of our staff are well equipped to meet your child’s needs with a team of trained support staff who comply with nursing regulations for the administration of medications. 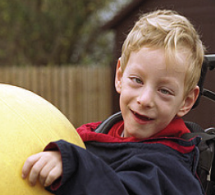 We also provide day care for children with learning disabilities aged 0-5 years. Each child is assessed to ascertain the level of support required to meet their needs. The children we support regularly take part in activities that promote independence, such as visits to the supermarket and shops, daily tasks such as baking, washing and cleaning, as well as trips to the seaside or places of interest. Click here for more detail about Swanbourne Gardens and to view their online booklet. Parents of Luke, a Swanbourne Gardens service user.